The one thing about rain in Key West is that it rarely lasts for more than a day, unless a pesky tropical low in the middle of summer decides to hang overhead. However, rain or shine, there are plenty of things to do out of the elements! The only rainy day challenge is getting around the island and from one indoor activity to another without getting a bit wet. On the bright side, everything in Key West is close together, so it’s a short dash from one point of interest to the next. 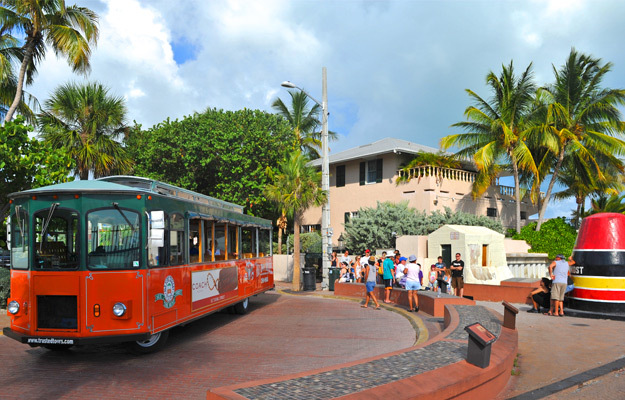 The Old Town Trolley is the best way to get around Key West on a rainy day. The ability to hop on and hop off at 13 convenient stops in both Old Town and New Town makes this a favorite rainy day tour option. Besides the obvious transportation ease, Old Town Trolley Tour conductors do a great job of pointing out all those things you should see, telling stories about island history and lore, and ensuring you know what’s around each stop. The bonus: they make the time on board fun with their own brand of humor. If it’s raining, ask them for a poncho; they usually have some onboard. They are easy to slip on and make a great souvenir! The imposing red brick Richardsonian Romanesque building towering over Key West Harbor near Mallory Square is hard to miss. It was built in 1891, as a Federal office in the same style as all other Federal buildings throughout the country! At the time it housed the customs office, post office and district court. Today, the Custom House is an eclectic museum of artifacts and art which provides an interesting glimpse into 200 years of Key West history. Step inside the beautiful space to see the eclectic permanent and temporary exhibitions. Journey down the Keys on the “Railroad that went to sea” – the remarkable story of how Henry Flagler and the Florida East Coast Railroad crew conquered the impossible to build a railroad over land and sea, one bridge at a time, all the way down to Key West. Find out about brave lighthouse keepers who kept the light burning during treacherous hurricanes to help mariners from being dashed onto offshore reefs. Hear the story of the sinking of the USS Maine in Havana harbor in 1898 and its Key West connection. Gold object, jewels, silver coins, copper, cannons, religious and everyday objects, all from the wreck of the Spanish Galleon Nuestra Senora de Atocha. One of 8 lost vessels from the 1622 Fleet are in the Mel Fisher Maritime Museum, just across from the Custom House. An introductory film provides background and context to Mel Fisher and his crew’s multi-year quest to find the scattered wreck, and explains a lot about how salvaging works. Another remarkable important piece of history is told through artifacts recovered from the wreck of the 1699 Henrietta Marie, the earliest slave ship to be identified by name. The find led to extensive research into the triangular trade route favored by the slavers. Artifacts –shackles, cannons, pewter tankards, spoons, bottles, and a piece of the hull – create a picture of life aboard. Steps away from Mel Fisher’s, behind a white picket fence on the corner of Greene is a historic house – the Audubon House, aka the Geiger House. Although named after the famous naturalist, John J. Audubon never lived there. 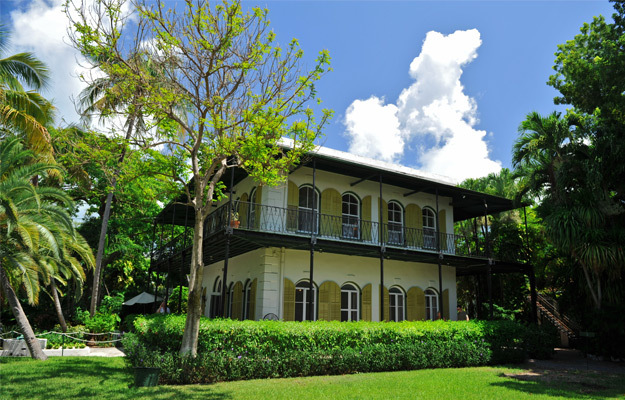 When the house was restored and opened as a museum, it was named to commemorate Audubon’s 1832 visit to Key West to observe and paint the unusual birds of the Keys. For 108 years this was the home of harbor pilot and salvage wrecking master, John Geiger, and his descendants. 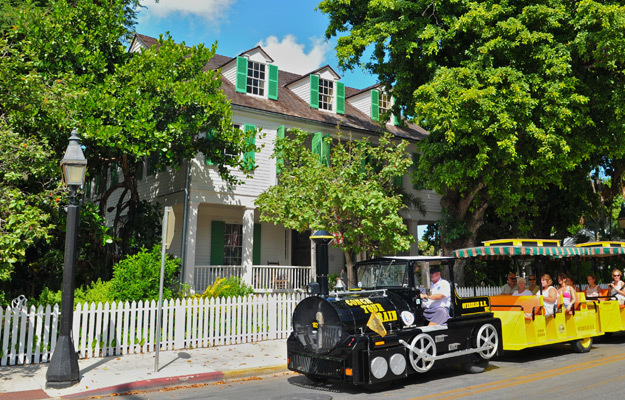 The self-guided house tour is a great way to see how the wealthy of Key West lived in the mid-1850s, a time in which much of Key West was involved in the lucrative wrecking industry. What makes this simple house so interesting is the face that it was furnished with the bounty from the sea –fine furniture, china, and silverware salvaged from the ship’s cargo. Fun fact – the house is certifiably haunted! Just a short walk from Mallory Square, inside the gates of lovely Truman Annex is a large, yet simple, white frame house. This is where President Harry S. Truman spent 11 working vacations. Built in 1898 as a duplex to house Navy Commandants, it was vacant Navy property at the time it was suggested as a place for Truman to use as a working retreat. A museum tour of the Truman Little White House is a must do experience. It’s furnished as it was during Truman’s stays between 1946 and 1952. As informative guides lead you through all the rooms in the house, they explain important features, furniture and photographs in historical context. The simplicity of the times and this president is most evident in the bedrooms. At the end of the tour, everyone feels it. This was a presidential sanctuary as well as a place where much of the nation’s business was conducted. For a change of pace, have a drink at Sloppy Joe’s Bar, which gained notoriety as one of Ernest Hemingway’s favorite hangouts. It’s just a short walk on Greene Street from Whitehead Street. Or you can get off the Old Town Trolley at Simonton Row and walk one block to Duval Street. With a series of louvered doors opening onto the sidewalk, it hasn’t changed much since Hemingway’s days. It’s popular, day and night, with live music usually starting at noon. Prefer Jimmy Buffet? Walk up Duval just past Fleming and hang out in Margaritaville. Have a signature Margarita and cheeseburger in paradise. Or, try the conch fritters and crab dip too. It’s busy, noisy, and friendly, with live music at night and lots of Parrothead memorabilia in the store. And for those looking to get a feel for the real Duval Street, a classic pub crawl is just the thing. A real gem and local favorite; it’s a perfect place to spend a rainy afternoon. You can’t miss it on Eaton Street, between Duval and Whitehead. Marilyn Monroe is out front – great selfie! 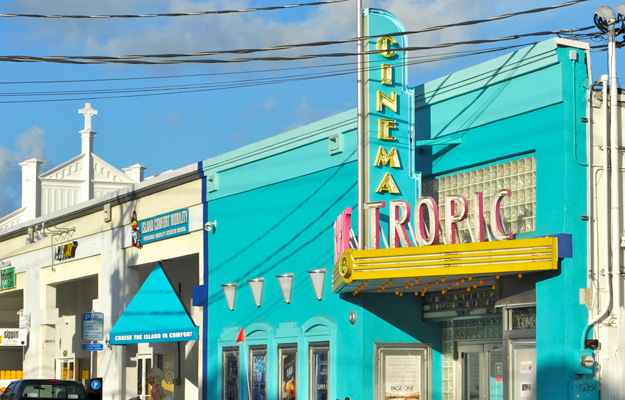 It screens hits, old favorites, indie films and hosts numerous interesting film-related events in several very small theaters. And it serves more than just popcorn and the usual movie house munchies. Beer and wine are available for 21+, and beverages can be taken into the theaters. No one thinks of a Key West church as a visitor attraction. Most people walk by this Key West gem on the corner of Duval at Eaton Street. Rain or shine, go inside. It’s beautiful . Established as a congregation in 1833, it is the oldest parish in Florida south of St. Augustine. The present church, completed in 1919, is the fourth St. Paul’s church to have been built on this same piece of land after the others were destroyed by two hurricanes and once by the Great Fire of 1886. The stained glass windows are exquisite. The work of some of the finest stained glass craftsmen in the country, these windows represent over 80 years of American stained glass. As a group, the windows are ecclesiastic art depicting both Old Testament and New Testament narratives in a beautiful way. 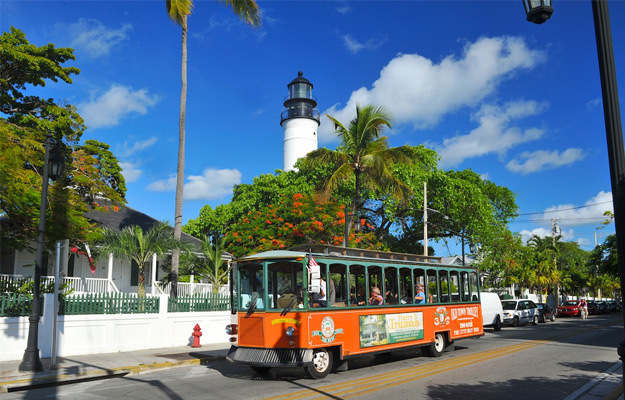 Without a doubt, the most recognizable attraction in Key West is a bit of a hike from the Mallory Square area. Wear rain gear if you’re walking or take the trolley and get off at the Bahama Village stop and walk down one block. The limestone Hemingway House was built by affluent salvage wrecker Asa Tift in 1851. Hemingway and then wife, Pauline, purchased the house in 1931, after having first visited Key West in 1928. Hemingway lived and wrote in a studio above the garage until he left for Cuba in 1940. Pauline and their two sons lived in the house until her death in 1951. The house is furnished with some pieces Pauline collected while living in Paris – chandeliers, 17th century Spanish chest and other items. Peering into the writer’s studio is an interesting glimpse back in time. A magical experience, the walk along tropical plant-lined paths through a real tropical paradise under the Butterfly & Nature Conservatory’s huge glass dome, is a wonderful change of pace. Hundreds of free-flying butterflies, 60 species of them, flutter by and pause briefly on bright flowers to obtain nectar. Little birds dart about unexpectedly. It’s a delightful experience, and informative too. Should a butterfly land on you, which everyone hopes happens, stand still. It’s a special. Walking back into reality through a double door system, you are asked to check for hitchhiking butterflies before exiting!